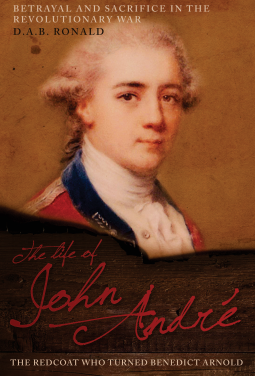 I have been deeply interested in John André for several years now. I have read anything and everything I can find on him, from contemporary documents (including his own writings) to later biographies, and of the latter, this one by D.A.B. Ronald is my favourite so far. I appreciate the amount of time he spends on André's early years, which many authors gloss over in order to get to the Revolutionary days. This is a nicely balanced work that takes time to assess what in André's psychology and background led him to make the choices he did. The biography is well researched, and it's clear Ronald is passionate about his subject. This is definitely a book I would like to acquire in hard copy to keep on my shelf as it's a gripping and detailed account of the life of cher Jean.